Predicting the Oscar winners adds to the excitement of watching the show. The second includes the other remaining 12 categories. All nominees have already been noted for each category, so all you have to do is print and you're done. NOTE: Image above depicts 2017. Actual game has been updated to include 2018 nominees. 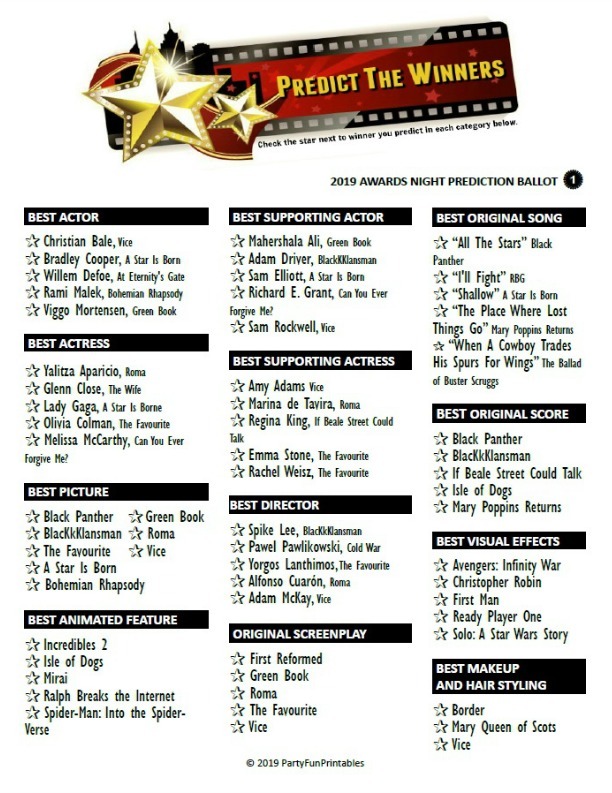 Hand out the pages to each guest and let them pick the winners for this year's Oscars in each category. 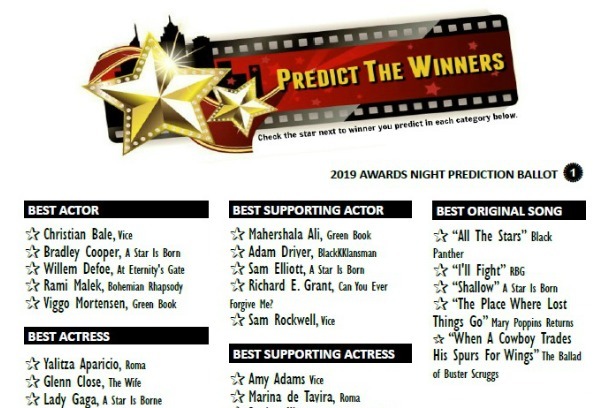 All they have to do is check or fill in the star in front of their predicted winner. Choose a pool amount of $1, $2, $5, or $10 each - whatever fits the guests. You could also get everyone to bring a prize to put in for the pool instead. Winner takes all! Print out enough sheets to hand out before the Academy Awards 2017 show begins. Make sure you have some extra pens available.